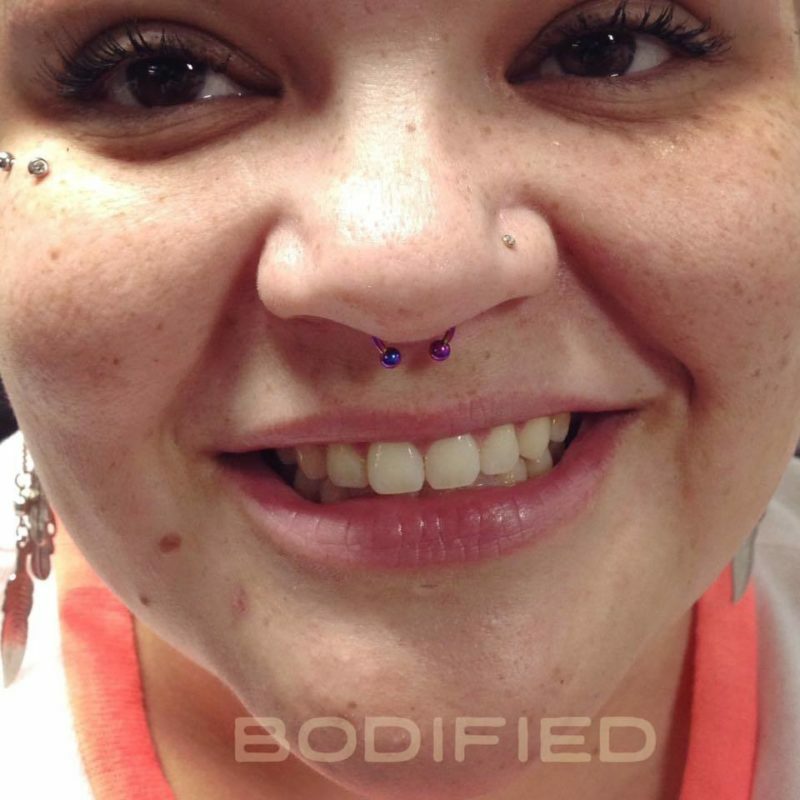 Piercing Gallery | Bodified Piercing, Inc. Triple Industrial piercing in surgical steel. Pierced by Alex. 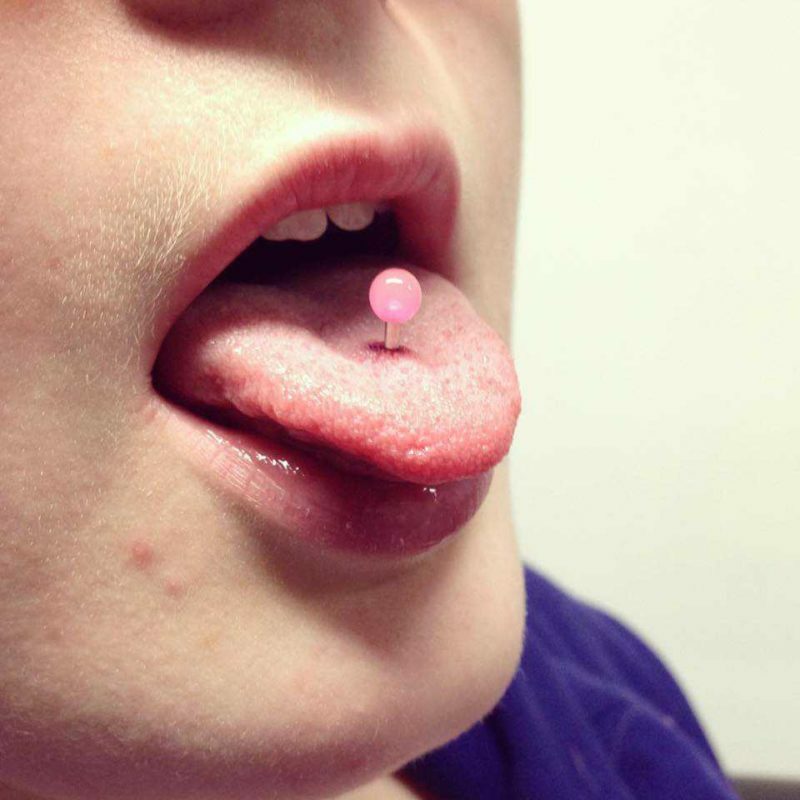 Tongue pierced with surgical steel barbell with pink glow in the dark acrylic balls. Pierced by Heidi. 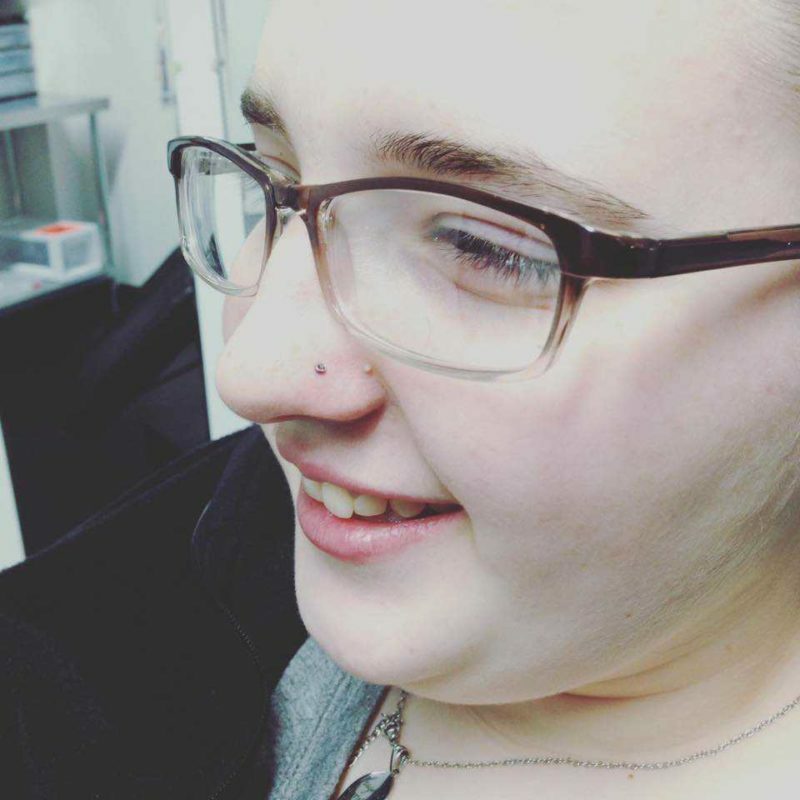 Nostril pierced with purple nose screw in surgical steel. Pierced by Heidi. 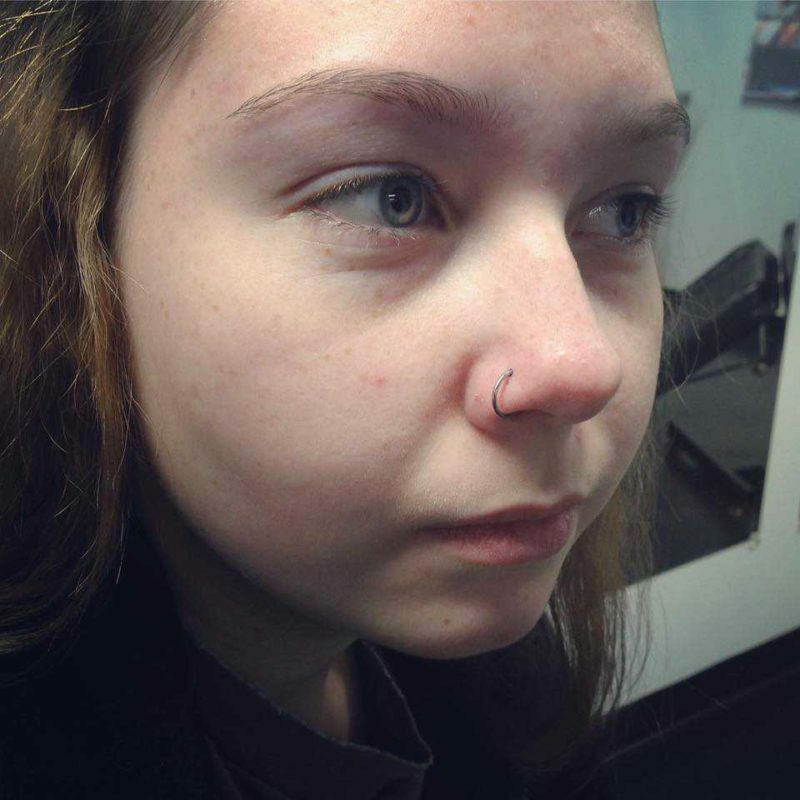 Nostril piercing with surgical steel captive bead ring. Pierced by Heidi. Daith pierced with black titanium captive bead ring. Helix pierced with micro stud in surgical steel with aurora borealis gemstone. Pierced by Heidi. Conch pierced today with blue titanium captive bead ring. 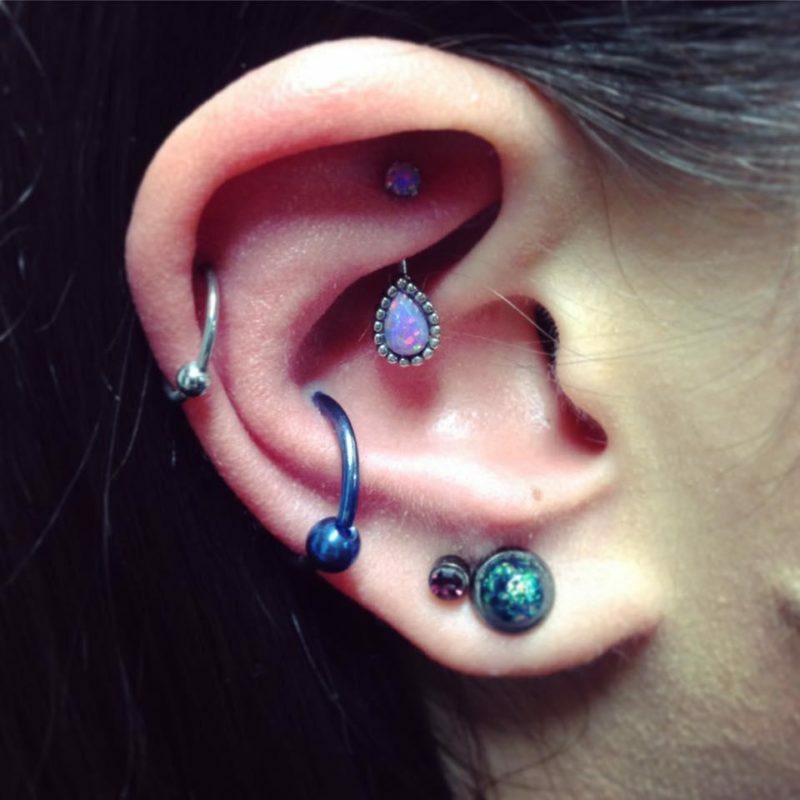 Beautiful Opal curved barbells for sale (as seen in her rook piercing). Also available in white and blue. Septum pierced with surgical steel circular barbell. Pierced by Heidi. Horizontal Tip of Tongue "Snake eyes"
Horizontal tip of tongue pierced with surgical steel curved barbell. Pierced by Heidi. 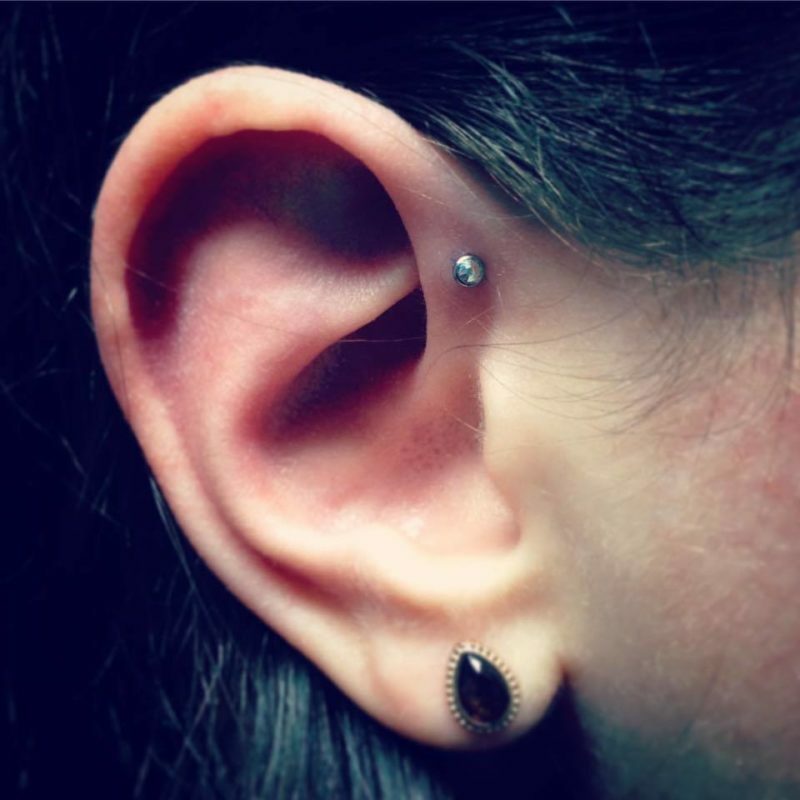 Surface bar with gemstone heads and tragus pierced with gemstone micro stud. Pierced by Heidi. Surface bar with pink gemstone heads. Pierced by Heidi.